As a mom, the perfect cup of coffee is, quite simply, a hot cup of coffee that hasn’t been microwaved three times since I poured it. I know… my standards aren’t quite what they used to be. 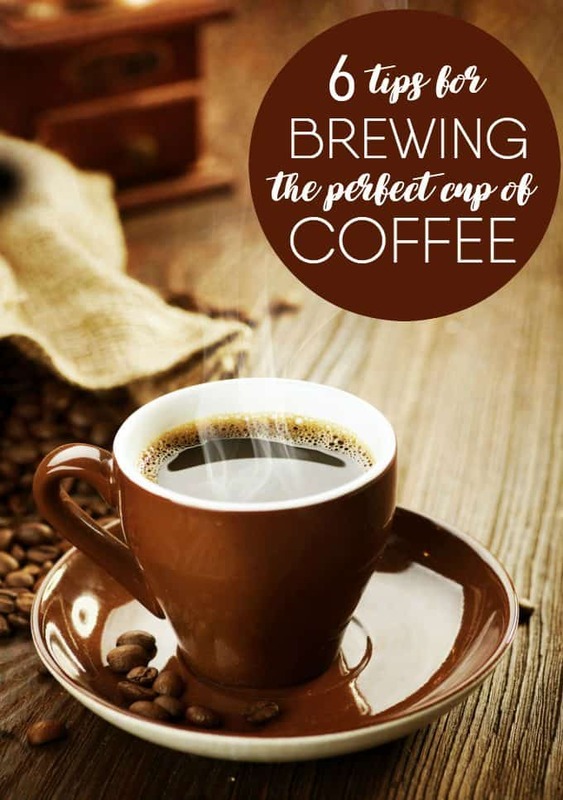 When the kids are in school, you have the perfect opportunity to brew the perfect cup of coffee that you can sit down and enjoy, while you read posts like this. Or maybe this? Anyway, back to the task at hand. Based on what I’ve written so far, I think it’s fair for you can assume that the first step to the perfect cup of coffee is the right environment. Peaceful and quiet? With a couple of friends chatting? Nose buried in a book? Whatever your space of choice, that’s your first step. Or rather, it’s all in the freshness of the bean. A fresh coffee bean will produce an entirely different flavour from an aged one. Ideally, you will have a local roaster that you can procure your beans from, but if not, don’t buy your favourite bean in bulk. It might save you a few cents but the downside will be reflected in the taste of your coffee. Coffee beans don’t like light or oxygen. They’re kind of like vampires that way. So keep them in their vacuum sealed bags—the ideal way to purchase them—until you need them. After opening the bag, store the beans in an airtight glass container (a great use for extra mason jars! ), at room temperature. Never in the fridge! Never in the freezer! Some people swear by roasting their own beans but while that’s a nice idea, if you barely have time to DRINK your cup, it might be overkill. 2. To grind or not to grind? Obviously, if you’re buying the beans whole, you’re going to have to grind. Ideally, you are only grinding what you are going to use right away: they start losing their flavour right after grinding. Kind of like how a car loses value the instant you drive it off the lot. Grinding your whole week’s supply at once will leave your Monday coffee tasting wonderful and Friday’s tasting sour. Grind to a fine size and make sure you shake the grinder a little during the process, to get an even grind on all your beans. Food will taste bad if you cook with cheap wine (also? The chef won’t be as happy!) and coffee will taste bad if you brew with bad water. Tap water, with chlorine, will affect the taste of your coffee. Spring water or filtered tap water are ideal. Paper filters are the least desirable option, particularly the cheap supermarket brands. There are some upscale ones, made by coffee companies themselves, that are acceptable but ideally if you’re using a coffee machine, look to make the switch to a permanent filter. It is not only friendlier to the environment but it’s friendlier to your cup of coffee. For a 6 oz cup of coffee, 2 level tablespoons of coffee is ideal. For a bigger mug (8 oz), go with 2 ¾ tablespoons. You might think that will be too strong but in actual fact, skimping on the coffee will just leave you with bitter coffee and an unpleasant taste in your mouth! The full flavour of a good cup of coffee comes with a good measure. The most impressive flavour in your cup is immediately after brewing. Re-heating or leaving it in the coffee maker, on the warming platform, will not yield the best results. Of course, like I said earlier, it’s the bane of most parents existence to have reheated coffee on a regular basis. But it can be a bitter cup to swallow, literally. A good cup of coffee is one of those little pleasures that most of us appreciate. Do it right, and it could become the highlight of your day. Do you have any tips for the best brew? You might also like these gifts for coffee lovers. Using good water and a good coffee brand really does make a big difference when making a good cup of coffee. I really like mild blends and use filtered water. Thanks for the tips nothing better than the perfect cup of Coffee. Since I don’t drink coffee of any kind, I’ll pass this post to my sister who loves coffee. Thanks for the tips. I am guilty of the microwave warming and rewarming as well! My water is smelling off lately, and I thought my coffee tastes funny this morning. I do have a cold but I’m going to try some different water. I love to grind beans to make coffee, and the aroma…! It has taken me years to get it right. Now I look forward to my morning cup of coffee. Very helpful tip, thanks for these. My dad loves his coffee. I agree with these tips. We have a coffee maker that grinds the beans just before it brews, which really makes a difference in the taste. I always use filtered water and use a permanent filter as well. My son follows all of these tips. I would just like the correct environment. I use filtered water and have my favorite brand of coffee. The first cup is always the best! What I love is when on top of the coffee there’s a thick layer of heavy cream (as a fluid) swimming on top. Then you drink your coffee through the cream, delicious. I definitely like stronger coffee, but I don’t buy whole beans. I opt for easy breezy instants and pre-ground coffee.. I want to get it right away! lol Anyway, if someone else were making it and I didn’t have to pay a mint for it (ie coffee shop), then freshly ground/brewed is the way to go. Thanks for the tips, I love a good cup of coffee! Thanks for the tips! One tip that I got from a lady that worked at a diner was to put a pinch of salt in the cafer before brewing. It takes any bitter edge off the coffee.